Blog Is Swimming Kicking or Pulling More Important? 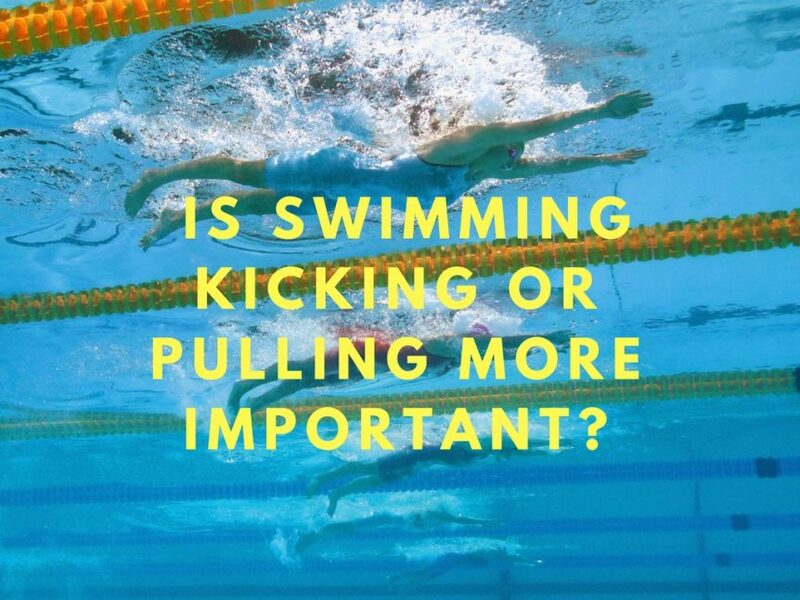 Is Swimming Kicking or Pulling More Important? Is swimming kicking or pulling more important? Which stroke is the most complex? Why should we care? We had the pleasure of learning the answers to these questions (and so much more) from a leading researcher on this topic, Raul Bartolomeu. In his recent study, he investigates the relationship between kicking, pulling and performance for all four strokes. He also evaluates the complexity of each stroke and what this means for training and performance enhancement. Here is Raul's list of publications. 1. Why did your team measure arms only and legs only swimming contribution? It was because measuring the entropy and the fractal dimension in swimming is a novelty. And because of that, one of our aims was to describe the segmental actions along with the full body strokes. We thought that it would be beneficial to the swimming community to know how legs and arms alone affect the full body strokes. Besides that, as for assessing both entropy and fractal dimension we needed to assess also the velocity, we decided to measure and report it, in the first study of this kind providing both full body and segmental velocities in all four strokes. 2. Why is it important to research this? Entropy and Fractal Dimension give insight on the predictability and complexity of a given pattern, respectively. According to the constraint-led approach for the motor control learning process and the nonlinear pedagogy, manipulating key task constraints on learners facilitates the search for more effective coordination patterns and behaviors, that are needed to overcome the proposed task. Thus, knowing how predictable and complex a swimming pattern is, teachers/coaches would be able to manipulate these specific constraints. However, to properly manipulate them, one has to deeply understand how they affect the behavior and the task of the swimmer, regarding its predictability and complexity. 3. Do arms only and legs only correlate to full body swimming? Yes. In all variables in study the segmental actions were correlated to the full body stroke with moderate to strong effects. 4. Can coaches assess these contributions? If so, how? They could if they have the proper (somewhat expensive) equipment and knowledge, but it is difficult. One way to facilitate this is through the establishment of institutional protocols. Nowadays every swimming federation has its own researchers and research centers with these, or similar equipment, that are able to assess these variables. It´s just a matter of the clubs looking for research centers and those centers to better reveal themselves to the clubs. 5. How do the arms and legs contributions differ between the different swimming strokes? Concerning velocity, leg kicking showed to be slower than arms only and full body stroke in every stroke with the exception of breaststroke. The reason for this outcome relies on the orientation of the legs' propulsive forces. In breaststroke these forces have an horizontal orientation whereas in the other strokes this orientation is vertical. Concerning predictability and complexity, the actions of the arms and legs influence the four strokes in different ways, depending on whether these actions are performed simultaneously or alternately. The task constraint of synchronizing four alternated limbs, each one in a different phase of the motor path, makes front crawl (learn about the muscles active in front crawl here) and backstroke less predictable, although, less complex. On the other hand, breaststroke and butterfly, where two of the 4 limbs are always in the same phase, have more complex but more predictable swimming patterns. 6. What were the practical takeaways for coaches from your study? The main findings that matter to coaches have to do with the complexity of the strokes. Our findings suggest that front-crawl and backstroke should be taught first, as they are less complex than the others. Other practical takeaway has to do with task constraints and skill acquisition: if the swimming teacher is aware of the complexity level of each limb action in each swimming stroke pattern, he can enable the creation of task constraints. This constraints, resorting to arms’ and/or legs’ actions, are able to complicate or simplify a specific task in order to facilitate the learning of a specific skill. 7. What are some misconceptions the swimming community has on arms only or legs only swimming? Many coaches tend to "forget" that legs and arms are part of a whole. That the individualized training of the upper and lower limbs contributes to a more effective and efficient movement. Maybe the awareness that the leg kicking velocity can achieve up to 59-82% of the full body stroke velocity (depending on the stroke), could lead the coaches to give it the proper attention and training time. A special thanks to Raul Bartolomeu and John Mullen for conducting this interview. Bio: Raul Bartolomeu is a PhD candidate at the Universidade de Trás-os-Montes e Alto Douro in Portugal. His research focuses on sports physiology, physical activity, swimming and other aquatic exercise. There can not be so perfect technique that would not be improved. If breaststroke and butterfly are harder due to their complexity, then surely they should be taught first as they will take longer to master? Not necessarily, do you start with a trip axel in ice skating? I think it depends on teaching style and technique. Sometimes teaching the hardest component at the beginning works, but the task must be achievable.